When your life depends on your gear! When the time comes to take the shot, there should be no question that you can count on your sight to perform. We know that conditions in the field place extreme demands on your equipment, so we design and test Aimpoint® products to stand up to any condition that you are likely to encounter. 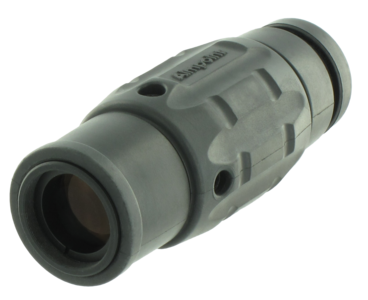 Our sights are subjected to brutal testing, including exposure to heat, cold, physical abuse, and submersion under water. Dangerous situations can happen suddenly whether on the streets or in active combat. 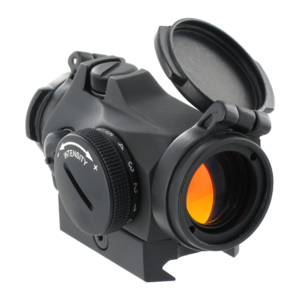 An Aimpoint® sight gives you a tremendous advantage – aiming with both eyes open allows you to see the target as well as the surroundings. You instinctively place the red dot on the target, and you’re ready to pull the trigger. The mechanical switch lets the shooter to get the right setting rapidly while aiming through the sight. We also design our products to operate constantly for years on a single battery so your sight will be ready when you are. 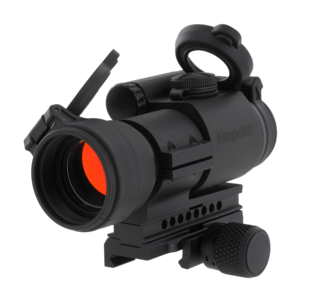 Aimpoint® sights save money for professionals by reducing training time, ammunition and battery consumption. 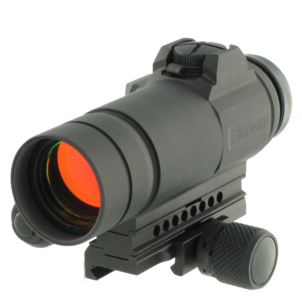 Aimpoint® sights are simply the fastest, easiest way to aim any type of firearm. Around the world professionals have used Aimpoint® red dot sights for more than 20 years proving their value. Manufactured since 1975, more than one million Aimpoint® sights are in hands of professionals. Whether in the field or on the streets, you can count on Aimpoint® red dot sights!